Naseem Banu, the original superstar among Hindi heroines, originally known as the "beauty queen" or Pari Chehra Naseem (angel-faced Naseem), has died in Bombay aged 85. 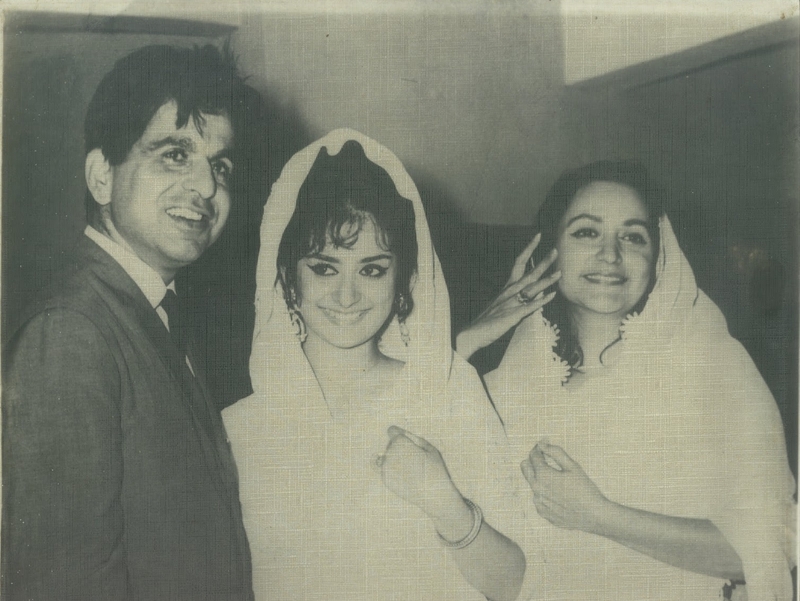 She was also famous as the mother of star Saira Banu and the mother-in-law of actor Dilip Kumar. While most actresses of her era rose from poverty and had not even been to primary school, Naseem came from a wealthy background. Her entry to the movies was accidental; her school had closed for summer and she went to Bombay with her mother on a visit to a family friend. Every day she pleaded with her host to take her to the studios where, eventually, she saw the shooting of Silver King, and decided that she would become an actress. She continued to hang around the studios and her beauty got her offers of work, but her mother, who wanted her to study medicine, turned them down. When Sohrab Modi offered her a role in his film Hamlet, she resorted to tears and a hunger strike until her mother gave in. Hamlet made her an overnight sensation. She returned to Delhi to complete her studies, but found that she was denied admission to any college. Having joined the film artistes, she was considered to be part of a very low profession. This attitude made the teenager earnestly seek a film career. She shot Khoon ka Khoon, President, Divorce, Khan Bahadur, Meetha Zahar and Vasanti. 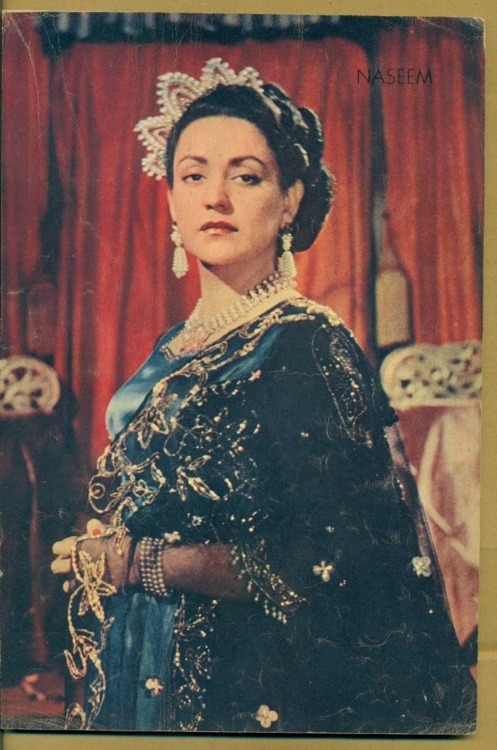 The historical classic Minerva Movietone's Pukar, in which, dressed in Mughal finery, she gave a tender performance as the monarch Noor Jehan, brought her success. 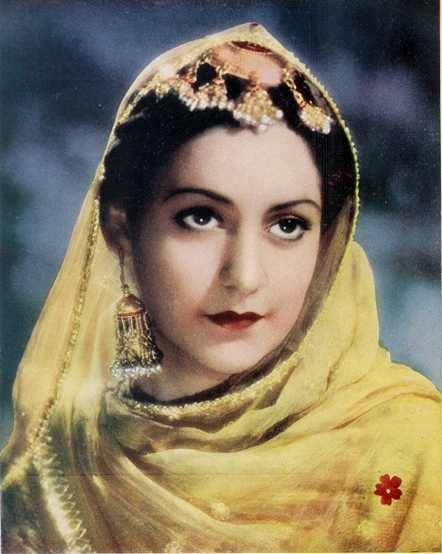 Naseem spent two years learning to sing, and did her own singing for the film. In another Minerva Movietone film, Sheesh Mahal, Naseem played the poor daughter of a fallen landlord. Dressed simply, with little make-up, she moved audiences to tears. After reigning at Minerva Movietone, Naseem became an equal power at Filmistan. Her first picture for the studio was Chal Chal Re Naujawan, with Ashok Kumar. 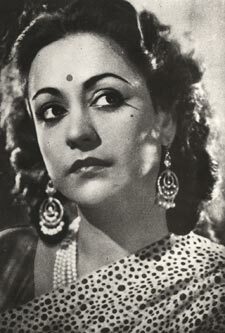 In the early 1950s, Naseem played opposite actors more than 10 years her junior, but the difference in their ages was not evident. Naseem's husband, Ehsan, became a producer and together they made half a dozen films for Taj Mahal Pictures. But she then made a big career mistake by getting into low-grade movies like Baghi, a swashbuckling drama, and Sindbad, in which she played a pirate. 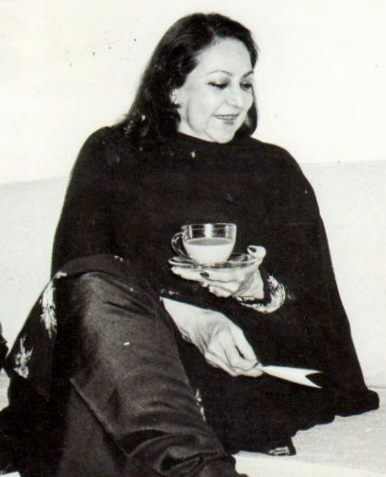 Many stars of her era migrated to Pakistan, but Naseem worked side by side with younger female stars. 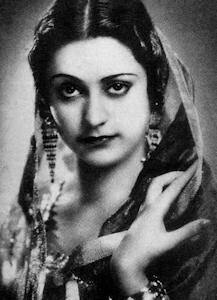 In the mid-1950s she retired, though she lit up the screen with a small role in Naushirwan-e-Adil. She continued to be offered leading roles by producers, but turned them down, so as not, she said, to compete with her equally celebrated daughter, Saira. She began a new career designing for Saira, who became famous for her embroidered saris. Today, whenever Pukar or Sheesh Mahal are shown on television, old film lovers get nostalgic and new cinemagoers are bowled over by Naseem Banu's beauty. She is survived by Saira and her son, Sultan Ahmed.